For your consideration. 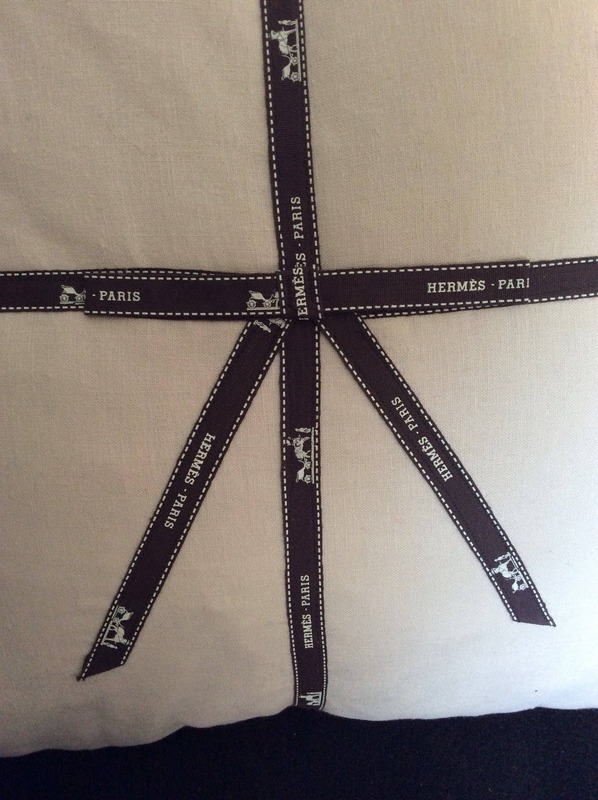 This is a tan organic linen down pillow made with authentic Hermes ribbon. It measures 18x18. It is luxury inside and out. If you prefer a polyester fill, that is available as well. 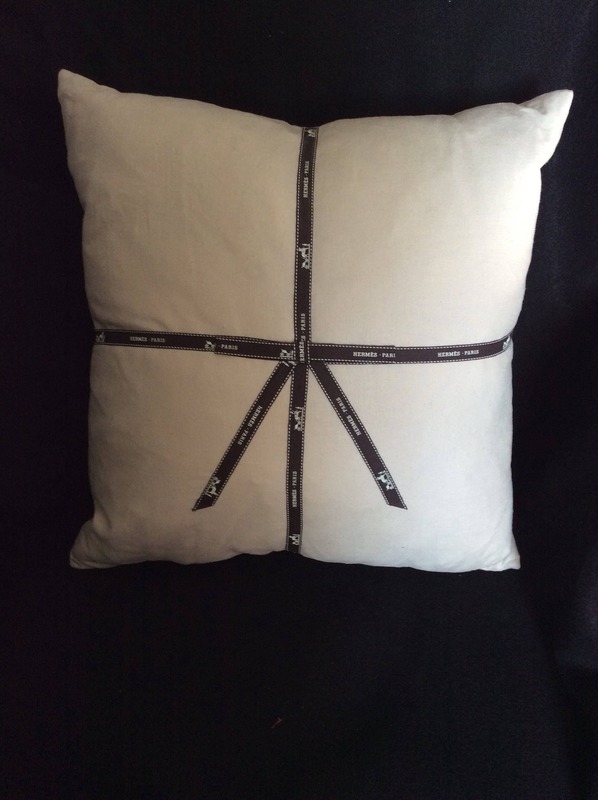 The pillow is very simple but makes a big statement. All materials used are of the finest quality. I only have a limited amount of ribbon. Great for an equestrian enthusiast or for someone who respects and deserves quality. Should you need a different size please let me know. I also make pillows that are great companions to this pillow. Message me for photo.